Clamco's L-sealer/tunnel combination system includes such standard features as unitized package tray and film cradle with pinwheel perforator, the largest shrink tunnel in its class, and 11-gauge steel construction throughout. The resulting high throughput and superior strength are further enhanced by this system's efficient 120-volt operation. In addition, its comparatively lower price makes the 120 Series the best value in its category. The 120 Series semi-automatic shrink packaging system includes many standard features and unique advantages not found on competitive systems. Its low cost and 120-volt efficiency make it ideal for today's quick print and similar-sized operations. 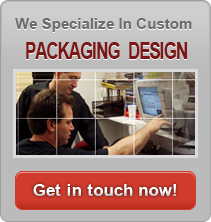 Designed to seal and shrink most polyolefin and PVC films.